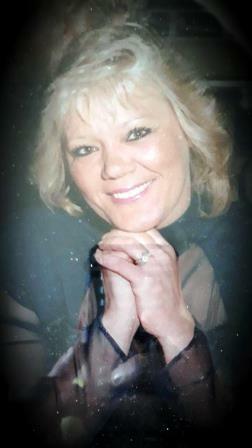 Kuhn, Jeannette Vincze Kuhn, age 67, of Fairfield, passed suddenly on April 8, 2019 in her residence. Jeannette was born in Bridgeport on October 19, 1951 and was the youngest of nine. She was a fun loving, gracious, giving person to everyone she met. Working at Kuhn’s Corner, she had so many fond memories and enjoyed meeting so many wonderful people. She loved to garden, sit by the beach singing along to her favorite oldies, especially Patsy Cline. Her greatest joy was spending time with her grandkids who she absolutely adored. She is survived by her three loving children, Joseph Southard of West Haven, John Southard of Milford, Tammy Kuhn Sorrentino and husband Anthony of Fairfield, grandchildren Anthony, Dante, Jonathan, Kelsey, Kyle, Karl, Billy, Jessica, Willow and Dusty, one great grandson, Tommy, two brothers, Robert Vincze and Steve “Pete” Vincze, former husband, Keith Kuhn of Fairfield, as well as many nieces and nephews who she loved as her own. A Memorial service will be held on Monday, April 15, 2019 at 12:00 PM at the Galello-Luchansky Funeral Home, 2220 Main St, Stratford, CT 06615, officiated by Rev. Peter Cipriani. Interment will be private and at the convenience of the family. Friends may call on Monday, April 15, 2019, at the Galello-Luchansky Funeral Home, from 10:00 AM to 12:00 PM.